Have you thought of digitally advertising your business? Digital and Social media is a huge part of the world today and with that development comes opportunity, and we now have a fantastic sponsorship offer for a local business to advertise their brand to the digital market. Video highlights are taken at every home game and most away games throughout the whole of the season, overall about 45 games. These highlights are then uploaded onto the official website and YouTube. We are averaging about 300 views for each match, and more than double this figure for key games e.g. the recent home ‘derby’ victory against West Auckland FC, which attracted almost 800 views! We are proud of the professional production of our match highlights, why not see for yourself! 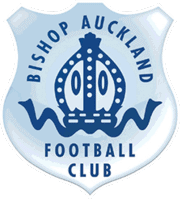 All match highlights are filmed in full colour HD quality, and to view the BAFC v West Auckland FC match highlights please click on the link below. The Club is offering an exciting sponsorship opportunity to current sponsors or a new sponsor. A 15 second digital advertisement incorporated within every match highlights on YouTube, for the rest of this season. The price for this fully inclusive YouTube match highlights sponsorship package is just £750 +VAT.